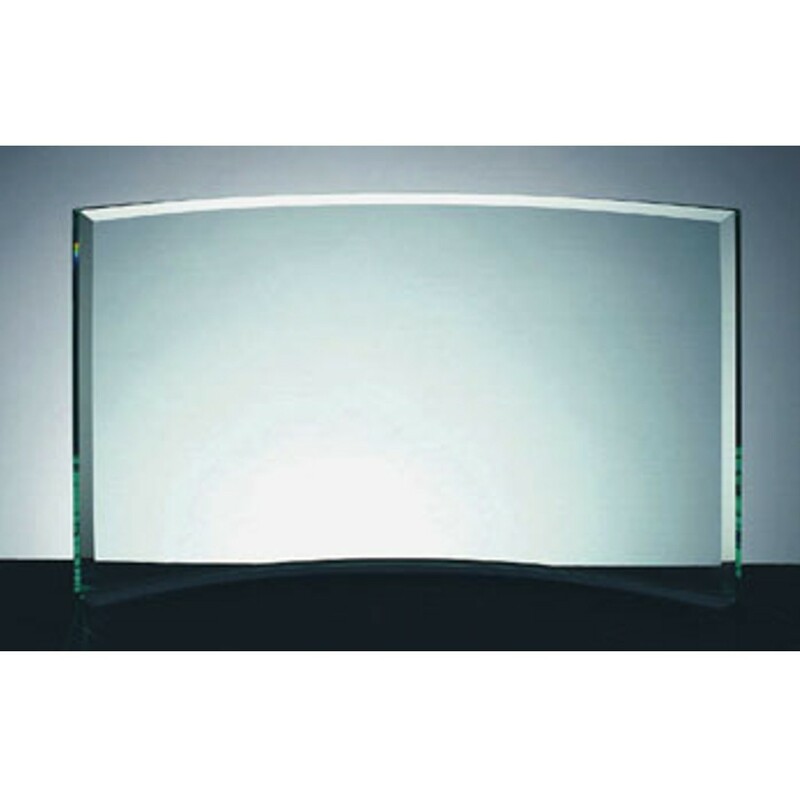 Recognize an exceptional individual with the Beveled Jade Glass Crescent Award. This award has beveled edges that produce a beautiful sparkling effect. Each piece is hand polished and has a glass that is 3/8" thick. This item comes with a gift box and is available in 3 sizes. Small: 5", Medium: 6", Large: 7"
Small: 4.5"x8.5", Medium: 5.5"x10.5", Large: 6.5"x12.5"